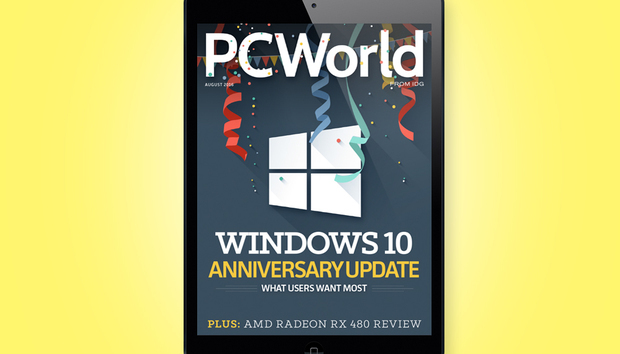 We reveal the features users want most in the Windows 10 Anniversary Update. Also, find the right headphones for you in our Headphone Buyers’s Guide. Plus, we take an in-depth look at the new $200 AMD Radeon RX 480 graphics card. 3DMark Time Spy tested: We pit Radeon vs. GeForce in this major new DX12 benchmark. Best wireless keyboards: Cut the cord with Bluetooth and USB models offering extras galore. The 10 Best PC Games: You haven't played in 2016 (so far). Consumer Watch: Vicious new ransomware takes your money and still deletes your files. Here's How: Three hidden Android customization settings you need to try. • Watch: our Radeon RX 480 graphics card, the Lenovo Thinkcentre X1, and Acer Chromebook 14 reviews. Plus, see for yourself how much light the Fenix RC 40 flashlight actually puts out.